These featured brands are available in our salon. Salon products are more concentrated meaning you need to use less and they last longer. They are gentler and kinder to your hair as well as the environment. Store bought products tend to have more water, sulfates and fillers and less vitamins, oils and minerals that are designed to keep your hair healthy. Many of our clients tell us how much they love the look and feel of their hair as they leave the salon. For the most part, this is because of the products we’ve used on your hair. If you’re having trouble getting the same results at home please talk to us for advice and tips, we’re always happy to help. The first step is a good quality shampoo and conditioner. We can recommend products to deliver specific results and tell you what’s best for your hair type and condition. We also love to help out with styling advice. As we’re drying and styling your hair, we can talk you through what we’re doing and make suggestions to help you achieve the same look at home. ﻿Matrix was founded in 1980 by American husband and wife hairdressing team, Arnie and Sydell Miller. Matrix is committed to the development of the salon professional and offers a wide range of hair care and texturizing products. Headstart Total Body stocks the Biolage, Matrix Essentials and Design Pulse ranges.skin for an exotic bronze glow that lasts longer. Enriched with organic argan oil, vitamin E and aloe vera, MoroccanTan will soften and hydrate your skin. MoroccanTan solutions are free from alcohol, polyethylene glycol (PEG) and parabens, making them suitable for all skin types. Headstart Total Body use ghd stylers and owner, Simone, believes that no other styler gives the same amazing results. ghd launched in 2001 and their inimitable stylers immediately drew a cult like following. Touted as a one-stroke wonder, platinum’s extraordinary tri-zone technology maintains a constant 185°C temperature to deliver safer-for-hair heat. This gives 20% more shine while reducing hair breakage by up to 50%! A wishbone hinge gives a perfect glide and more control, with less pressure. Simone particularly recommends the platinum styler for anyone with thick, long hair. Boost the growth of your hair with Hair Express. This amazing treatment system consists of a shampoo, mask and serum which can double your hair growth. Available in the salon now! 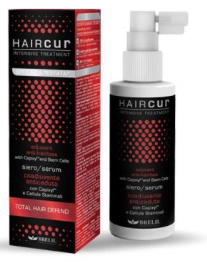 Total Hair Defend is an innovative hair loss treatment. In just eight weeks you'll notice improved hair resistance, 50% reduction of hair loss during washing, improved level of sebum and reduced peeling of the scalp. Please feel free to talk to us about treatment options if you're concerned about hair loss. Angel En Provence is based on a harmonious blend of technology and the purest forms of cold pressed essential oils and plant extracts including helichrysum, verbena, orange flower, lavender, rosemary, green tea, rose and grapefruit. The Angel Professional range does not contain any sodium laureth, laurel sulphate, parabens, mineral oil, parafin oil. The range is GMP, FDA Certified and 100% cruelty free. Specially designed for kids, this gorgeous tea tree oil range from Angel en Provence contains certified natural organic ingredients. We have the shampoo, conditioner, detangler and body wash.
No animal testing, parabens, mineral oil, paraffin oil, sodium lauryl sulfate or propylene glycol. Angel Professional contains marine collagen, micro elements and nutrients from the depths of the ocean to repair, treat and style all your hair's needs. The Angel Professional range does not contain any sodium laureth, laurel sulphate, parabens, mineral oil and parafin oil. The range is GMP, FDA Certified and 100% cruelty free. 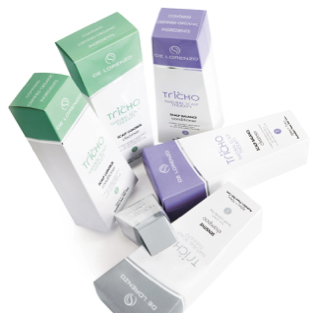 The Tricho series is a natural remedy for the treatment of scalp concerns including dandruff, psoriasis, itching, redness and scaling. The three step program of cleanser, conditioner and toner is made with a sophisticated blend of certified organic ingredients. The range is free from petrochemicals and SLS that can irritate sensitive scalps. Available in three variants; Scalp Balance, Scalp Control and Sensitive. Environ was founded by Dr Des Fernandes, a prominent Cape Town plastic surgeon, in 1990. Dr Fernandes was the first person in the world to introduce vitamin A in high effective doses. This established Environ as a leader in skin care. Its skin care products are manufactured under strictly controlled laboratory conditions at the Environ factory in Cape Town, South Africa and exported to more than sixty countries worldwide. MoroccanTan's luxurious tanning formulas are absorbed deep into the skin for an exotic bronze glow that lasts longer. Enriched with organic argan oil, vitamin E and aloe vera, MoroccanTan will soften and hydrate your skin. MoroccanTan solutions are free from alcohol, polyethylene glycol (PEG) and parabens, making them suitable for all skin types.